You will be impressed to see the wheels keep rotating "forever" with the least input. 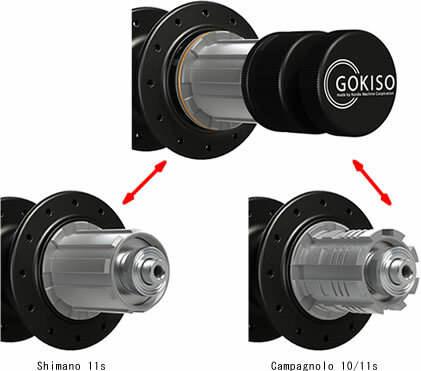 The hub structure, the materials and the configuration are the features original to GOKISO that our engineer sought every possibility in a bicycle hub from zero. The best rotation performance which can handle 100kg of load and 300km/h; this is what we have achieved and this is our commitment for the absolute rotation smoothness. In addition, GOKISO's shock-absorbing mechanism gives such a light and smooth ride as you would be flying in the air. The "Jet-engine-inspired" GOKISO elastic suspension. 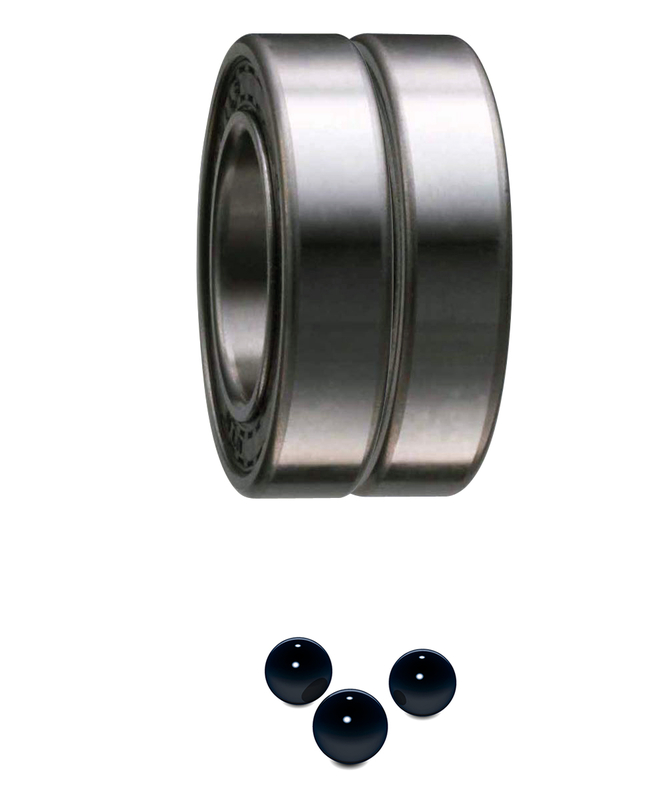 Ball bearings in a bike hub must be big enough to support its load, thus, larger its diameter, the bearing balls suffer more friction and heat generation. As a result, it degrades the rotation performance. 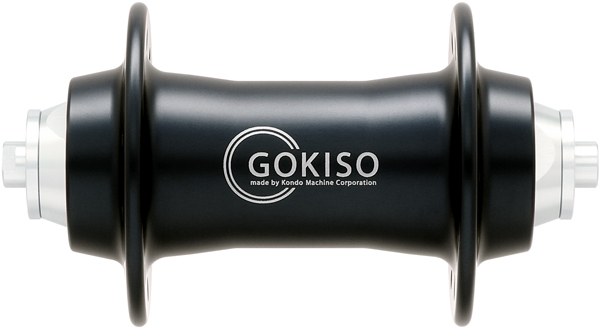 The GOKISO Hub use of 2mm-diameter"micro steel balls"made of the highest quality material used for precision machines is certainly unique. The roundness accuracy of the "Micro steel balls"is well illustrated by this is if the ball was the size of the moon, the surface roughness of the ball would be as little as 70m. The world's first "Double-bearing" structure. Ball bearings in a bike hub must be big enough to support its load, thus, larger its diameter, the bearing balls suffer more friction and heat generation. As a result, it degrades the rotation performance. The GOKISO Hub use of 2mm-diameter "micro steel balls" made of the highest quality material used for precision machines is certainly unique. The roundness accuracy of the "Micro steel balls" is well illustrated by this is if the ball was the size of the moon, the surface roughness of the ball would be as little as 70m. Cobblestones bike racings are popular bicycle tours in Europe. When racing on such a rough street, a hub must bear a deadly impact (approx. 600kg weight) in every moment. 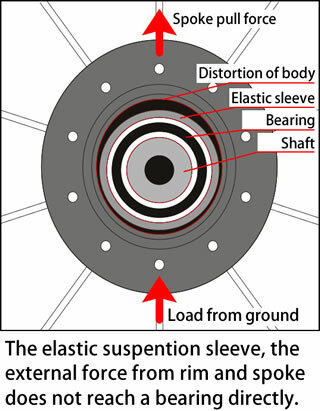 With a standard hub structure, a shaft easily gets deformed and axle becomes deflected causing bearings to twist.This creates a constant "put on brake" condition on the bearing, caused by abraded steel bearing balls . As a result, more pedaling force is required. 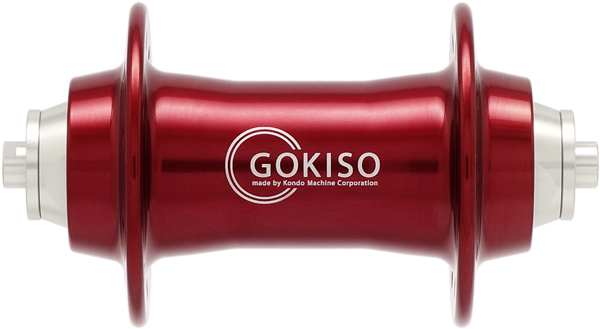 GOKISO Hub adopts a spring-structured and elastic body suspension around the bearings with a 0.5mm play to absorb the shock. This system minimizes the shock without sacrificing its rotation performance. 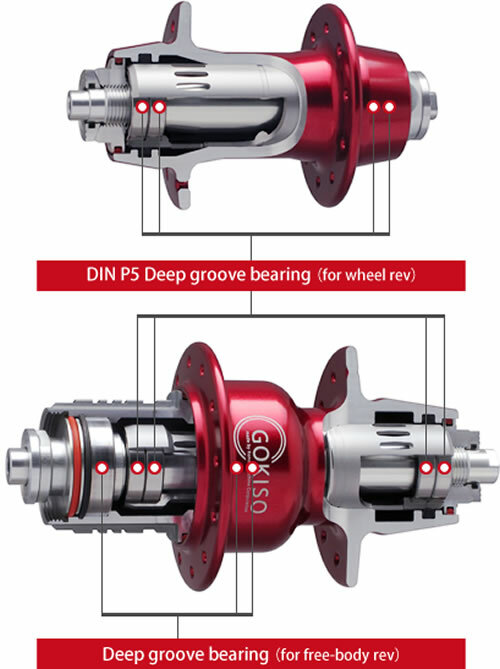 GOKISO Hub has two bearings each side (&qout;double bearing system&qout;) whereas a standard hub has a single bearing on both sides of the shaft. In addition to the four bearings in the front, we have added extra bearings to the rear unit drive; totaling seven bearings. This new structure improves durability against static load and minimizes the bearing vibration.